An old fashioned and time tested horsemen’s formula for the prevention and treatment of cracked heels. Rich in Lanolin this salve is easy to apply and will not burn or blister. 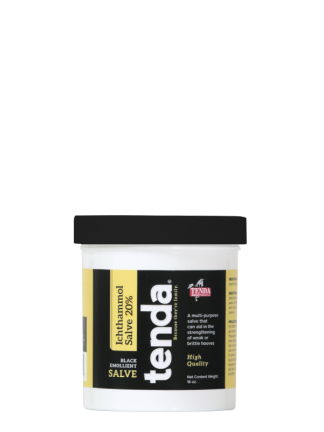 Mild antiseptic properties aid in the healing of existing scratches and scrapes. 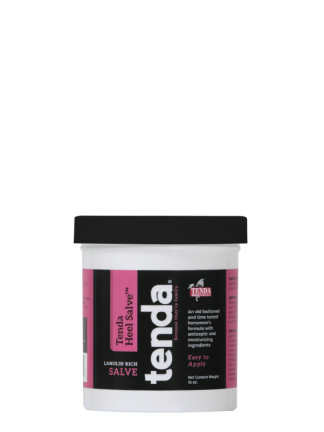 Tenda Heel Salve™ is suitable for all classes of horses and will not test. To be used where a mild moisturizer is indicated. 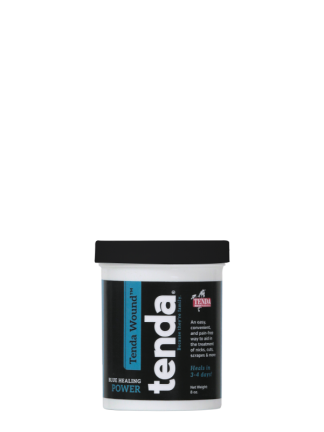 For use on and around the hoof and fetlock. Thoroughly clean the affected area and apply once or twice a day.